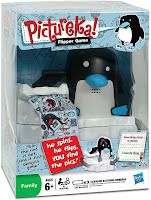 This week, Toys R Us has the Pictureka Flipper Game marked down to only $6.98! Take along this printable coupon for $5.00/1 and you can get it for only $1.98! WOW!! !